Compound It! Can you use an HSA for a domestic partner? [WATCH] What's a Qualifying Life Event (QLE)? 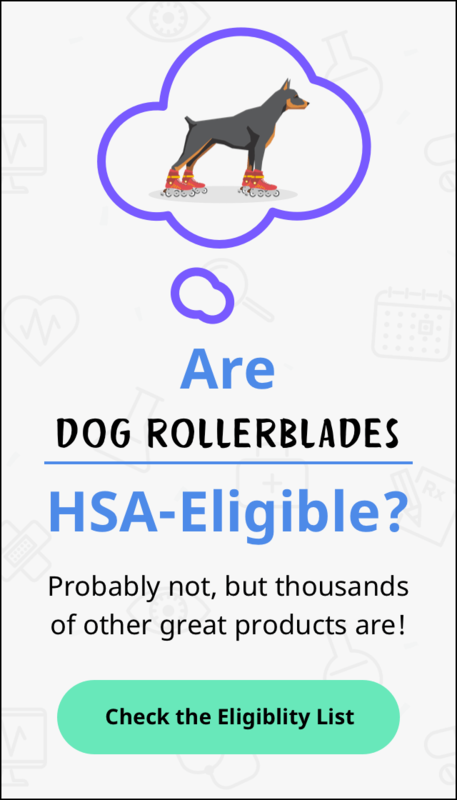 HSA Headlines - 4/2/19 - HSA-eligible feminine care products? OTC medicine without an Rx? It could happen! Wage Up! Is it allergies or acid reflux? Tax Facts: Should I itemize my medical expenses or use the money in my HSA? Tax Facts: What's the "right" way to contribute to an HSA? Future Healthy: Are you done with your 2019 HSA budgeting? HSA Headlines - 9/7/18 - Is raising HSA max limits too much too soon? Future Healthy: What happens to your HSA if you enroll in Medicare? Future Healthy: Could telehealth slash your health care costs? Future Healthy: How do HSAs factor into the growing freelance boom? Recently, I wrote about getting New Year's financial resolutions back on track, even if they fell to the wayside pretty early in the year. But that got me thinking about how these annual promises might not be necessary if you have a solid, no-nonsense budget in place. A household budget is one of the most important elements in a financial plan. But things can get complicated real fast if you search online for how to create one. There are several different budgeting methods to choose from and even more apps and tools designed to help you do it. But no method or app can solve the most significant challenge with budgeting: sticking to it. While overcoming that obstacle is ultimately up to you, simplifying the process can help make the process much less daunting. Here's how to do it. The easier it is to budget, the more likely you are to stick with it. To help, we've broken down the process into three straightforward steps. If you want to budget because you know it's the right thing to do or you want to improve your money management, you're probably going to have a hard time sticking with it. As with any goal, it's important to be as specific as possible with your reason. For example, maybe you're tired of living paycheck to paycheck, and you'd sleep better at night knowing that you have a $1,000 emergency fund in case something unexpected happens. Or you want to buy a house and need to save a certain amount each month for a down payment. Whatever your reason, write down why you want to budget and how much you want to make available for financial goals each month. Most importantly, make sure your goals are relevant and achievable. The last thing you want is to get a few months in and give up because you realize you were too optimistic. At the most basic level, a budget is designed to help you spend less than you earn. But there's no one right way to do it. If using a set budgeting method or an app helps you stay on top of your budget, go for it. But don't think that you need to do it any of those ways to be successful. Everyone is different in how they handle money, and the most successful budget is the one that you'll stick to. This step will require some due diligence to get right, especially if you've never budgeted before and don't know what works for you. Research various budgeting methods and apps and try a few of them out. Depending on your preferences and organizational skills, you can go as simple or as complicated as you'd like. You can also consider making your own adjustments to an existing method to make things easier. The toughest part about budgeting is staying accountable to yourself, and it's especially hard if you feel like your budget isn't helping you accomplish your goals. The important thing is that it doesn't need to be all or nothing. Just because you chose a specific method or app doesn't mean you have to stick with it. Don't be afraid to make some adjustments to your budget as you go to make it more effective and easier to maintain. For example, if you set your grocery budget too low and find that you're always going over, you may feel like it's not working. Instead of giving up, though, try increasing it a little. While it's not what you originally planned, it's still progress. It's always a good idea to have a household budget, but creating one can be daunting. If you want yours to be successful, make it as personal as possible. Define your reasons for budgeting and what you want to accomplish with it, then determine how you're going to do it. If things change or you decide that it's not working, make some adjustments instead of quitting. It can take a while before you find the best process for you, but it will be worth it as you use it to achieve your goals. Whether you're spending steadily or saving for something, Wage Up! is where we highlight the latest services available to buy with your HSA, every Monday on the HSA Learning Center. And for everything else about your health and financial wellness, be sure to follow us on Facebook and Twitter. HSA updates, stories and deals, right in your inbox! Future Healthy: What happens to your HSA if you're 65 and still earning income? © 2017 HSAstore.com.All rights reserved.